Boil about three litres of water in a large saucepan, add Lupin Flake and cook for 3 minutes. Drain and when cool enough to handle, squeeze dry by hand or in a clean cloth. Set aside. Saute onion in olive oil and seasoning until soft and translucent, add paprika paste and cook through. Add cooked Lupin Flake and stir until well combined. Remove from heat and set aside. This step can be done the day before. Prepare tomatoes, spring onions, chilli and parsley and set aside. 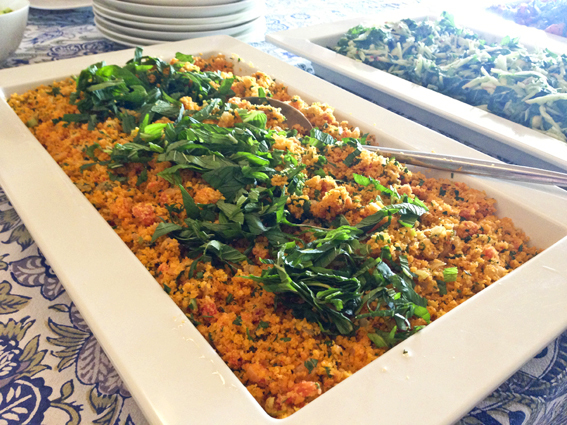 Combine garlic, cumin, lemon juice and pomegranate molasses, lightly whisk and add to other salad ingredients. 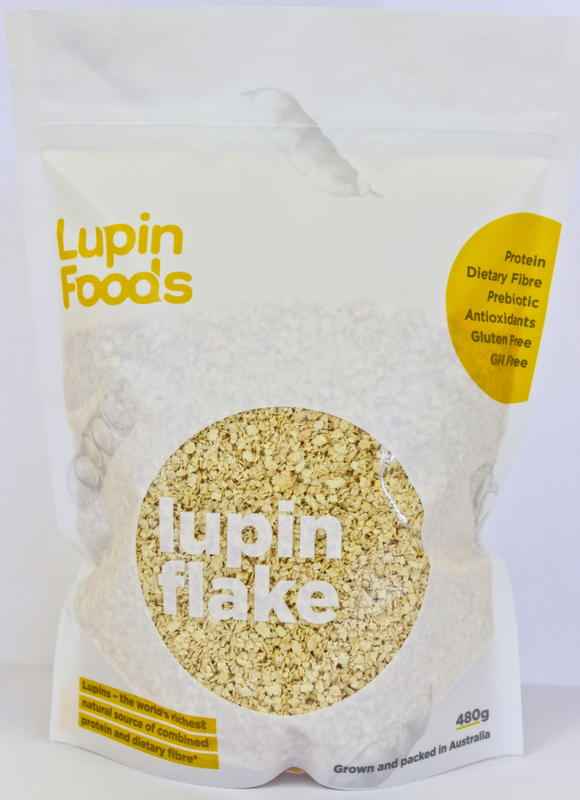 Mix with Lupin Flake at least one hour before serving. Check seasoning and adjust with salt, pepper or lemon juice as required. Spoon Kisir onto serving place, drizzle with olive oil, top with mint and spring onions and scatter pomegranate seeds. ** Available from Middle Eastern food stores. Use tomato paste if not available but make sure tomato paste is cooked out before removing from heat.